The YouTube channel Boxwars has come up with something very clever! 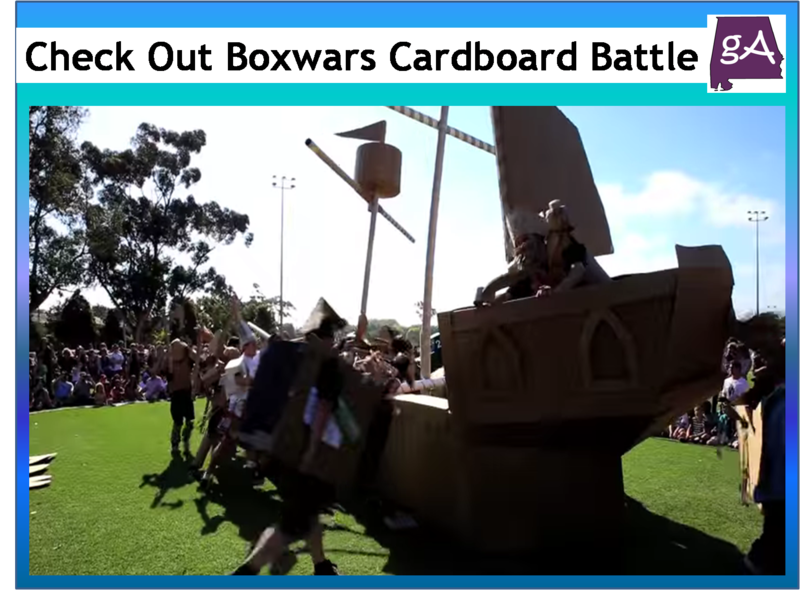 Boxwars is a battle between combatants armed and armored with only cardboard creations. The stated goal of Boxwars is as much about the destruction of the cardboard works as it is about their creation. The event began in Melbourne, Australia in 2002 and has since grown to a worldwide subculture with increasingly intricate constructions as the cardboard arms race escalates over time. See plenty of people hitting each other with cardboard below!